The American TFP > Fighting the Culture War > When Does a Soldier Become Expendable? How much is the life of an American soldier worth? 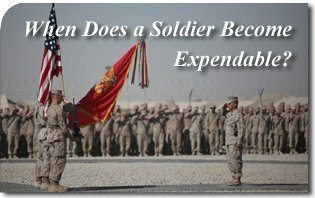 When does a soldier become expendable? Those are the questions we need to ask in the coming days. A wounded soldier in Afghanistan will find himself airlifted half way around the world for treatment within hours. In this, we see the admirable care and great value given to American lives. However, such solicitude on the battleground is not shown off the battlefield. It seems there are times where the American solider becomes expendable. Of course, we are referring to the raging debate over the “Don’t Ask, Don’t Tell” policy inside the military. Everything is centered on a December 1 report which the military will release analyzing the impact of the repeal on the Armed Forces. The results of this “analysis” can be guessed. It seems almost senseless to go through the trouble to release it. Everything seems to indicate that it will discuss how to repeal, not if we should repeal, the ban on homosexuality in the military. It will conclude that inclusion of open homosexuals in the military will not have significant adverse effects. It will conclude that the soldier is expendable. He can be used for social experiments. He can be penalized for the religious values he holds. He can be deprived of the very freedom for which he fights. 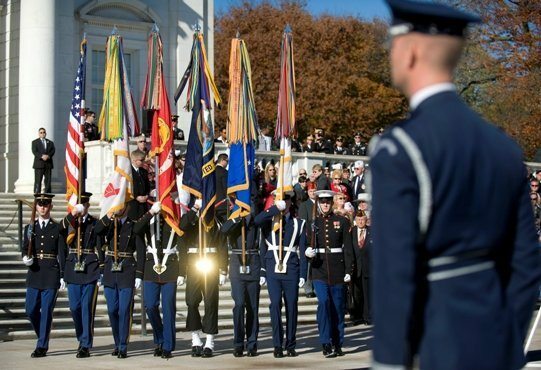 A joint Color Guard posts the colors during a Veterans Day ceremony at the Tomb of the Unknowns in Arlington, Virginia. The findings will be completely politically correct because a higher command than the Joint Chiefs of Staff has decreed that the American soldier is expendable. Judges, liberal pundits and legislators are all clamoring for the repeal with an urgency that defies the imagination. A single judge assumes almost dictatorial powers. Advocates cannot even wait for the December 1 “study” to validate their opinions. 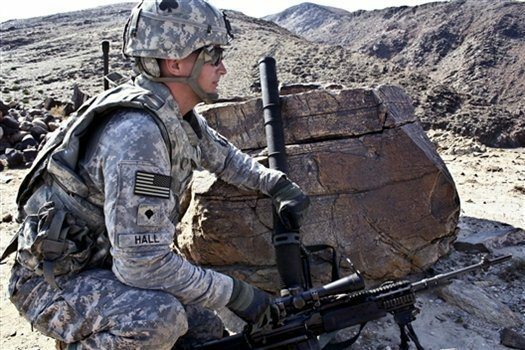 They must have the repeal now even if it appears to be rammed down the throats of the American people…even if it means making the American solider expendable. One might argue that it has not been proven that the entry of open homosexuals (which also includes bisexuals and the “transgendered”) into the military would make soldiers expendable. That is not the point right now. It is proven the advocates of repeal simply do not care to know one way or the other. They cannot even wait for a report to rubberstamp a decision that has already been made. At the same time, there is no doubt that it will affect the military. That military profession that demands decisiveness in action must now open its doors to the ambiguous bisexual and “transgendered” soldier. There are reports that higher military authorities have already informed officers that they must accept the decision or be labeled bigots and face expulsion. Added to the stress of combat, our soldiers will soon be forced to take extreme care to avoid any act, gesture or comment that might be construed to be “discriminatory” toward the new privileged class of homosexuals who will enter the military ready to report any “bigotry.” Chaplains face major problems since they must deal with the sin of homosexual acts. The service generals have all expressed major reservations about the move and its effect on morale. All of this to accommodate a tiny sliver of a minute minority that demands entry into the military. All of this treats honor, tradition, and distinctions between virtue and vice; truth and error; good and evil, so inherent to the military condition, as if they are irrelevant. Even the more practical matter of the danger of introducing into the battlefield a major category of men who cannot donate blood because of the risks of disease does not move repeal advocates. Soldiers of the 61st Calvary Regiment, U.S. Army patrol the Towr Gahr Pass, Nangarhar province, Afghanistan. U.S. Army photo by Staff Sgt. Ryan C. Matson. The mixture of bloods on the battlefield does endanger the lives of soldiers. That soldier, that is taken with so much care off the battleground in Afghanistan to our hospitals in Germany, now runs the danger of being infected by his own comrades in arms by judicial and legislative fiat. No life is threatened by keeping the ban. As long as one soldier feels threatened by the climate created by repealing the ban, as long as one life might be at risk by tainted blood, as long as the soldier maintains a sense of honor, we should keep the ban. Indeed we must ask: When does a soldier become expendable? 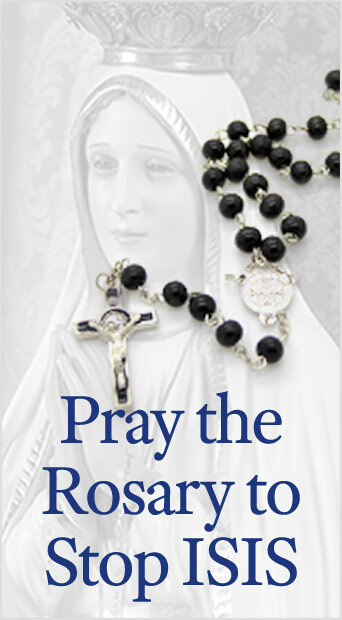 This entry was posted in Fighting the Culture War and tagged American Military, Chaplains, Don't Ast, Don't Tell, error, good and evil, homosexuality, honor, joint Chiefs of Staff, soldiers, Tradition, truth, United States Armed Forces, virtue and vice by John Horvat II. Bookmark the permalink.